Dolphin Data Lab is dedicated to the success and happiness of its users and the following notes are created to help all those who are new to data recovery filed and planning to attend one data recovery training. 5, We have got many many inquiries from new beginners telling us they need professional data recovery training courses on all data recovery technologies recovering data from dead hard drives, from flash and ssd drives, from CD/DVDs, from different sizes of interfaces(SATA/IDE/SAS/SCSI/USB2.0/USB3.0). We are so sorry this one is almost impossible because new storage technologies keep coming up and new algorithms are implemented, and all data recovery tools manufacturers must keep researching and working out the reverse engineering solutions. What users can really get are methods to analyze the failures and fix the common failures. Many data recovery engineers spend years to get some real working technologies and tips and it’s not easy to understand them all in a short time. 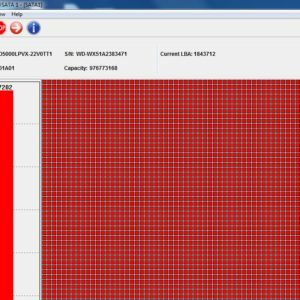 Users need to have damaged drives in hands to use these technologies and tips to fix them. 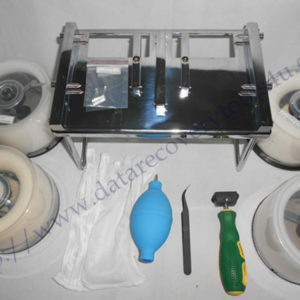 6, Dolphin Data Lab has helped many clients start in data recovery field successfully and clients can start with some tools and use them for some time like one to three months, clients can learn from videos how to use them, from the manuals and case studies how to use them and then you will have questions. You can even have some head and platter swap tools and follow videos to swap heads by yourself, you need to make your hands more familiar with the installing and uninstalling the heads. After some time’s practice, you can then consider advanced training, this way, you can make best of the training and get real knowledge from it. We have prepared one special tool: data recovery training U-disk for all new beginners, this u-disk contains knowledge other people spend years to get and it gives you all necessary knowledge before any advanced training courses. If you have any question about how to achieve a big success in data recovery field, you can please email to support@dolphindatalab.com and our real expert will show you the right way for saving your time and money.